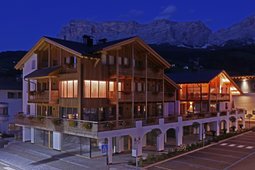 Enjoy the Summer Begin by us in "Ciasa Costadedoi"
Choose Alta Badia To Tread Unique Prestigious Green. Originality, comfort and relaxation at our Dolomit Boutique Hotel, as base camp for the ultimate Golf Experiences. Explore some of the most suggestive pass roads cycling in the Dolomites UNESCO World Heritage. Sunday, on the 22. June 2019 from 8.30 am until 3.30 pm o'clock all the Dolomites passes around the Sella Group (Sella, Gardena, Pordoi and Campolongo) will be reserved to the bicyclists. Where the daily routine has never been further away. A really special offer just for you! Super summer: enjoy the Dolomites with our special offer 7 = 6 or 6 = 5 or 4 = 3! June in the beautiful Dolomites! The apartement "Verena" is composed of 1 three-bedroom, 2 doublerooms, 1 bathroom with shower and toilet, 1 bathroom with bath tub and toilet, 1 bathroom with toilet, kitchen and livingroom with divan. 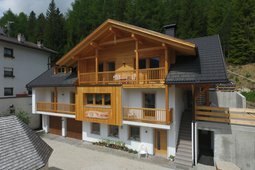 Our deal for a wonderful holiday in South Tyrol. Alpine rose blossom time in June is a special nature spectacle that won't fail to impress. 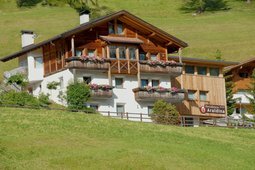 Flowers in bloom, gentle alpine pastures and fresh mountain air invite you to go out for a hike or a walk. Discover the most beautiful spots in the Dolomites and then let yourself be pampered in our Wellness Center "BËNSTÈ". 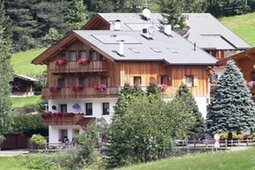 Your Stay Your E-Bike Your itineraries, guided and not, ready for you here at Dolomit Boutique Hotel. Enjoy the Summer by us in "Ciasa Costadedoi"
Last free weeks in June: 15/06 to 29/06. Ciasa Andy offers cosy apartments, fully furnished ideal for 4 persons. for you appartaments for 2 - 8 people, available. Nice apartments for 2-4-6 people. 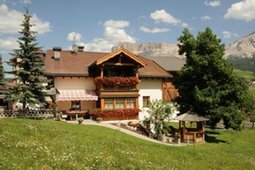 4 nights at the price of 3 to enjoy a few relaxing days in the Dolomites! For you appartaments for 2-6 people in the center of the village available. Offer for families: till 12th July and till 31st August Minimum stay of 7 nights in half-board children under 6 years old are free and 50 % of discount for children from 6 to 12 years old. Children have to lodge in their parents' room in additional bed. Maximum 2 children per couple. With a minimum of 7 nights, families will be entitled to discounts for children. free half board for children up to the age of 6 and 50% discount under 12 years of age. An unforgettable holiday for children and families. 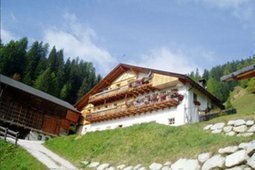 During the whole summer Alta Badia will organise a lot of activities for children and youths with a friendly and dynamic team. Also mum and dad can benefit from a huge program: excursions, hiking-tours, evening events and more.